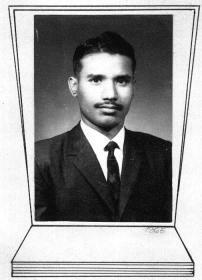 Maksudul Haque: was born to Mir Azizul Haque, a government officer, and Syeda Hamida Khatun at Sultanganjpara, Bogra in 1945. Studied at Rajshahi and Dhaka University, M.A. in History. Joined the then Pakistan Army in 1965, just three days before commissioned as officer in Kakul, he resigned army, because of suppression and disparity to Bengali officers in army. Joined Police service in 1967 as Sub-Inspector of Police in Rajshahi, regined after one year. Joined as Professor of History at Chandanbaisha Degree College, Bogra in 1970. On 26th March 1971 when the Pakistan army started to kill people he was in Dhaka and took contact with Bengali army officer (some of his ex colleagues). He organised a group of Journalist to collect information of massacar to prepare a war documentation. He visited on 27 and 28 March places like Dhaka University which has been massively attacked by Pakistan army, took photography of genocide and collected information. On the third day, that is on 29th March he did not came back. Some of his colleagues reported that he has been killed by Pakistan army. This is the short biography of a freedom fighter Maksudul Haque who has committed sacrifice like three millions other Martyrs who fought for independent of Bangladesh. We did not forget you Maksud, we did not forget the martyrs and the war of liberation !